Villa Oceano is destined to become one of our most popular villas in this discerning family friendly resort of Sao Rafael. 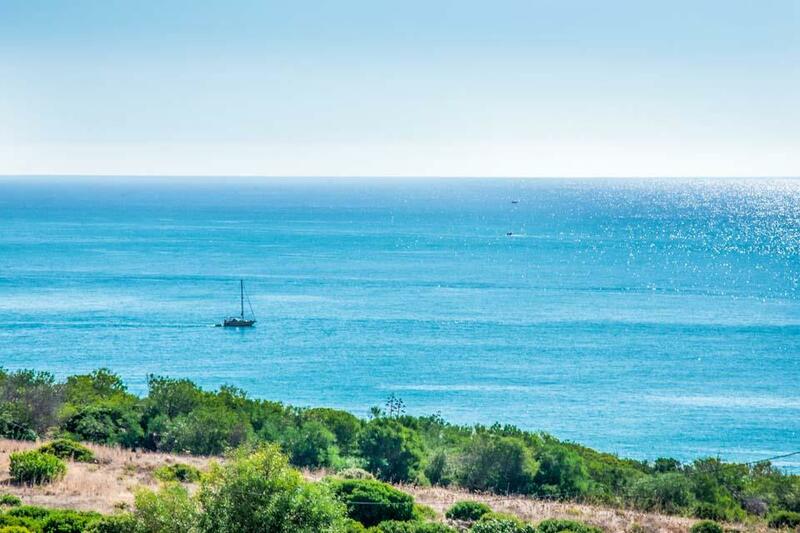 Situated in a prime slightly elevated location close to the popular beach resort of Gale, Villa Oceano is destined to become one of our most popular villas in this discerning family friendly resort of Sao Rafael. 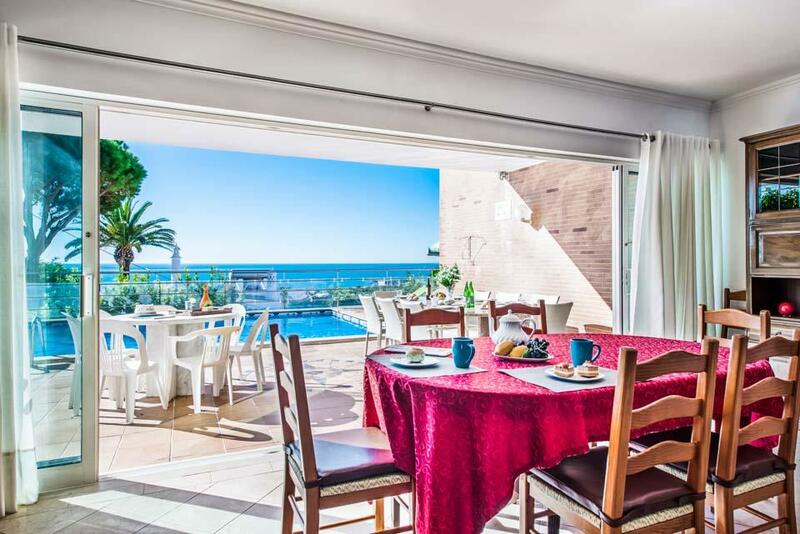 From its gently raised position, fabulous sea views can be enjoyed not only from the swimming pool terrace, but also from the attractive terraces and balconies stretching out along the front of this thoughtfully constructed stylish villa. 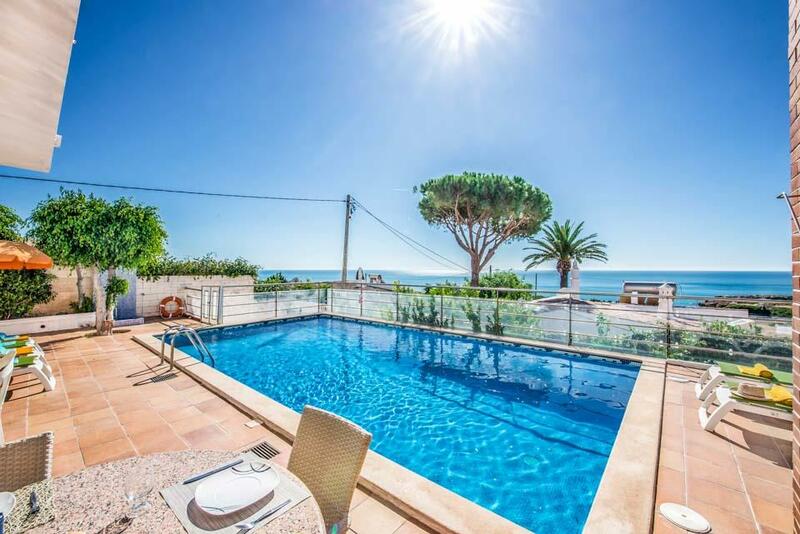 The sparkling (heated) swimming pool commands a very sunny position to the front of this traditional villa, where the adjacent terrace affords the best sea views and is sure to be a popular spot for savouring relaxing sun downers, as well as the views. Due to its privileged location close to the beach and resort centre, everything you need is within a very short stroll, making evening strolls into the village of both Sao Rafael and nearby Gale even more enjoyable, knowing that you can enjoy a glass of chilled white wine without having to worry about having to drive back home. 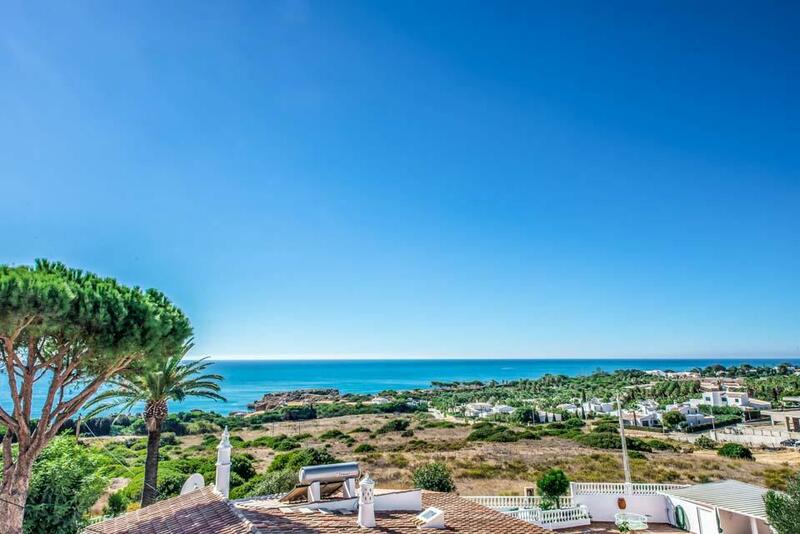 No visit to this astonishingly beautiful region would be complete without exploring the many fascinating traditional villages, such as Guia or the cosmopolitan family friendly resort of Albufeira, both of which can be reached in less than 10 minutes by car. This swimming pool has been fitted with a Pool Heat Pump making the pool about 3°C to 5°C warmer at 1 pm than a non-heated pool in low season. In July and August, should the pool temperature exceed 28° C the pool heating will be turned off. 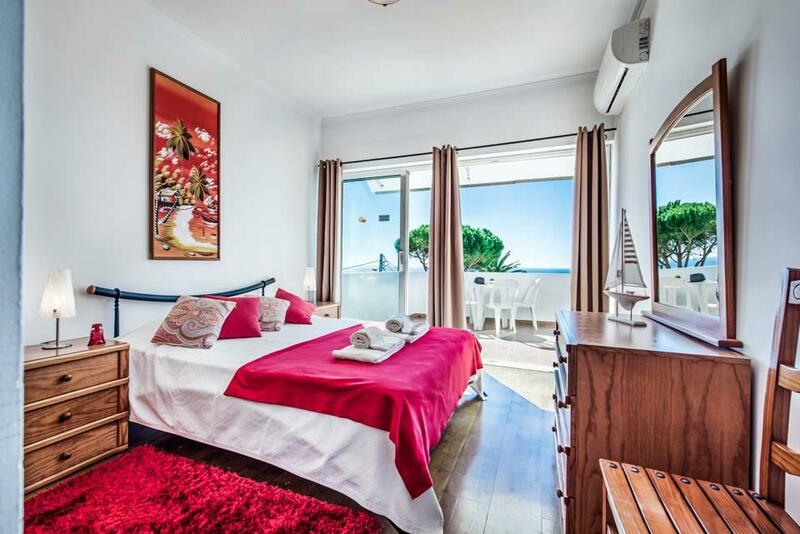 Very comfortable spacious villa with great view of sea. Clean, well equipped. Close to beach which was great and enjoyed local restaurants on nearby beaches. 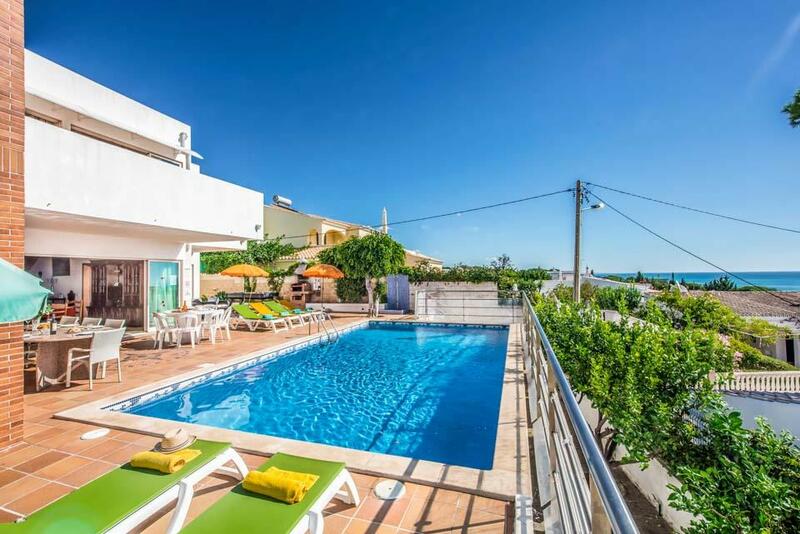 The best thing about this villa was it's location - just a short walk to a lovely beach. The view is wonderful. We had a fabulous holiday & we would definitely return to the same villa. 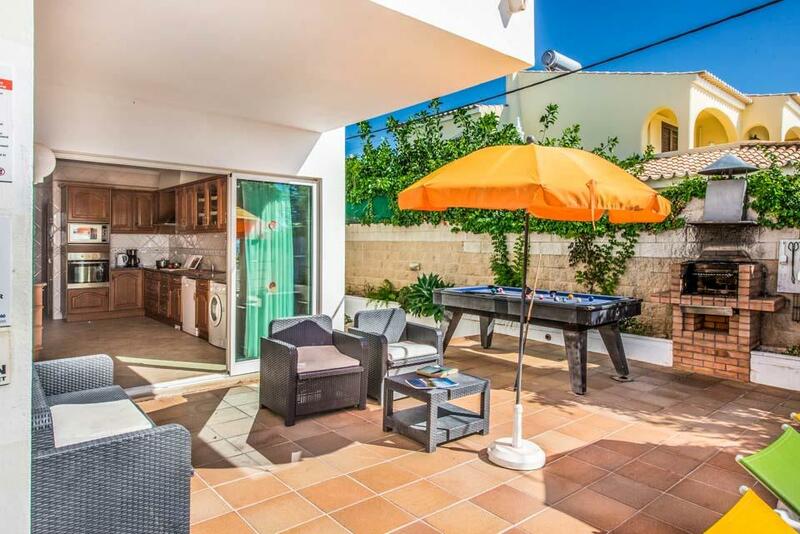 Gorgeous villa in a good location - outside of Albufeira enough to give privacy but close enough to easily access all the shops, restaurants and bars. 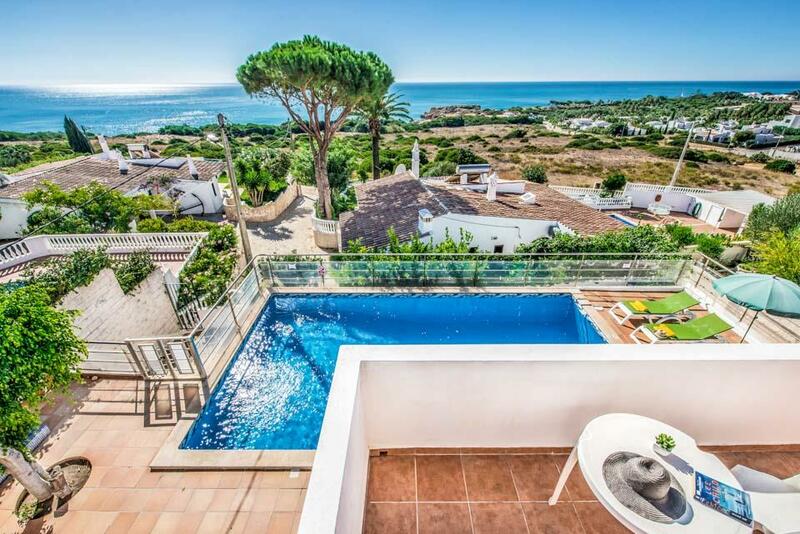 The view from the villa is amazing, and the ocean is only 4-minute-walk away. We discovered a trail just outside the villa, which takes you through a good bit of the shore and its beautiful beaches. 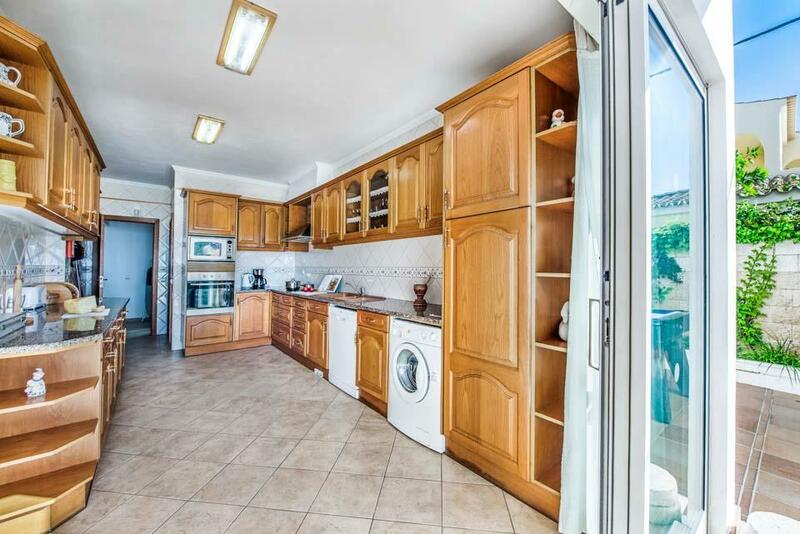 Villa had everything you would need for a long stay, it felt like being in someone's home rather than in a holiday house. The villa was very clean. Looked just like the photos. 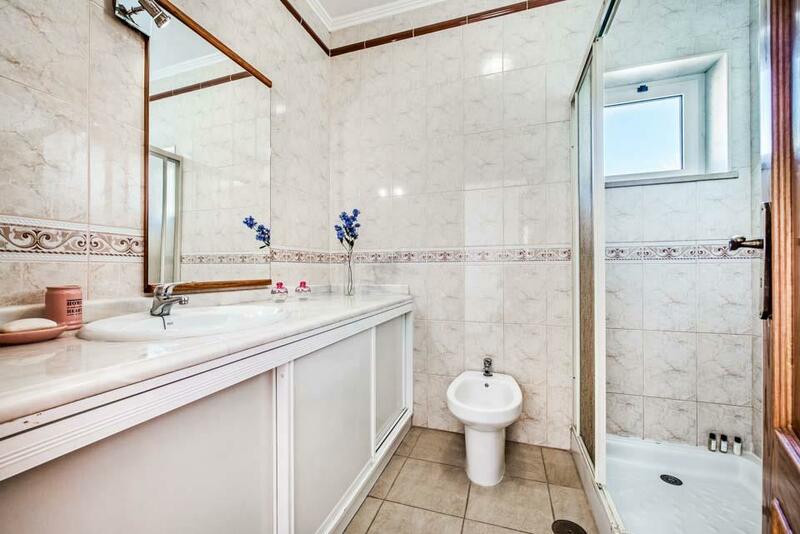 Very spacious layout. 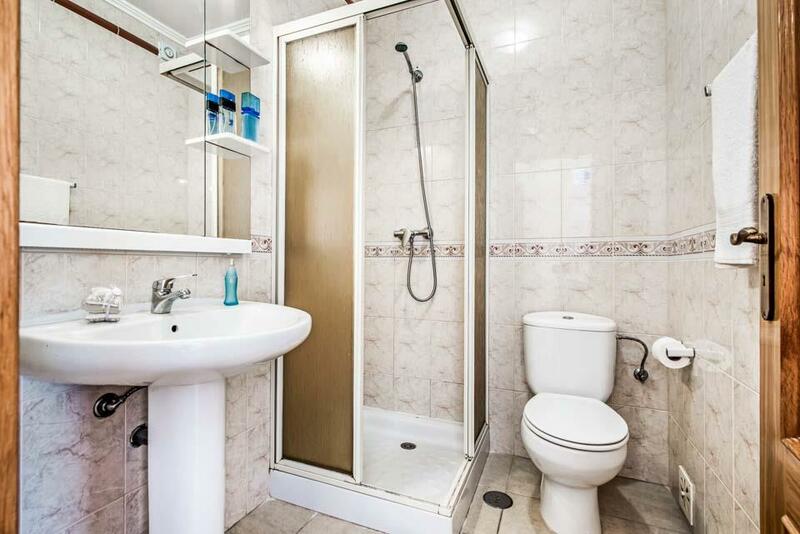 Each room had its own bathroom plus there was an extra toilet and shower down stairs. 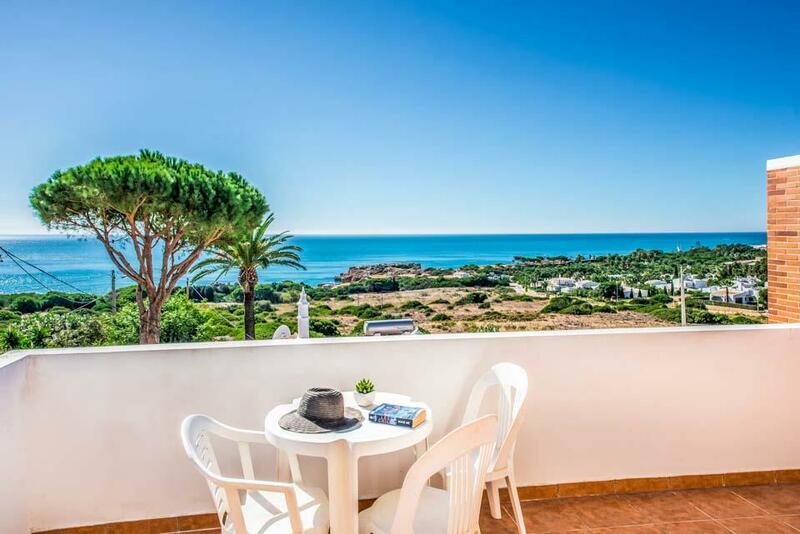 Nice views to the sea especially from the balconies. New towels supplied for the pool. We paid extra for pool heating which made a considerable difference and thus the pool was well used every day as was the pool table. 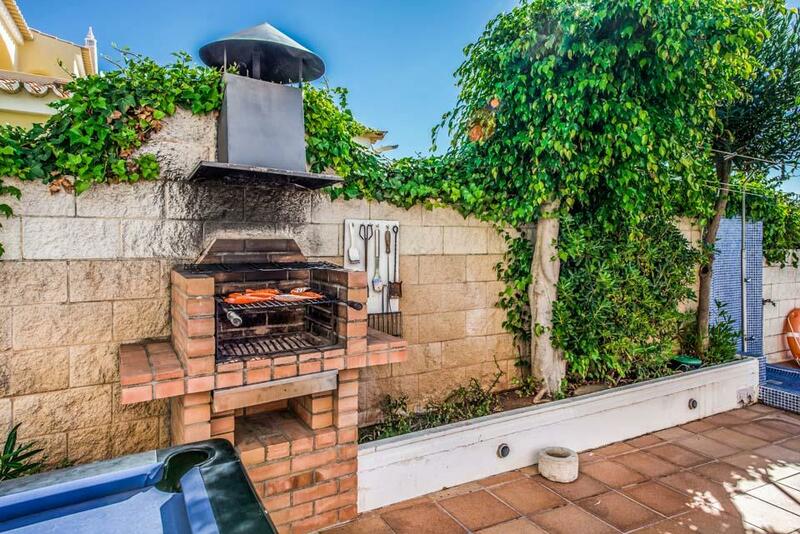 This could have been a tad further away from the bbq to give more room for cue manipulation. Table tennis was in the shade at the front of the villa. The kitchen was well equipped including a filter coffee maker and a juicer (lovely oranges available locally). 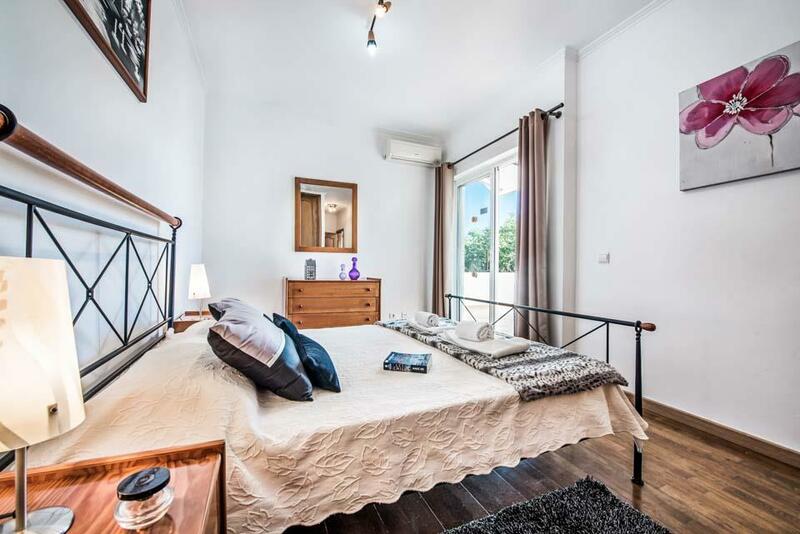 One bedroom had an air-conditioning unit which did not work, pillows on all the beds were very hard and lumpy, some light bulbs were not working, we lost our one ping pong ball and the WiFi dropped out. However, upon contacting our rep, all the pillows were replaced with new ones, light bulbs were replaced, 6 new ping pong balls were provided and the WiFi restored. The maintenance chaps tried to fix the air-con unit but could not so they referred the problem to the manufacturers. 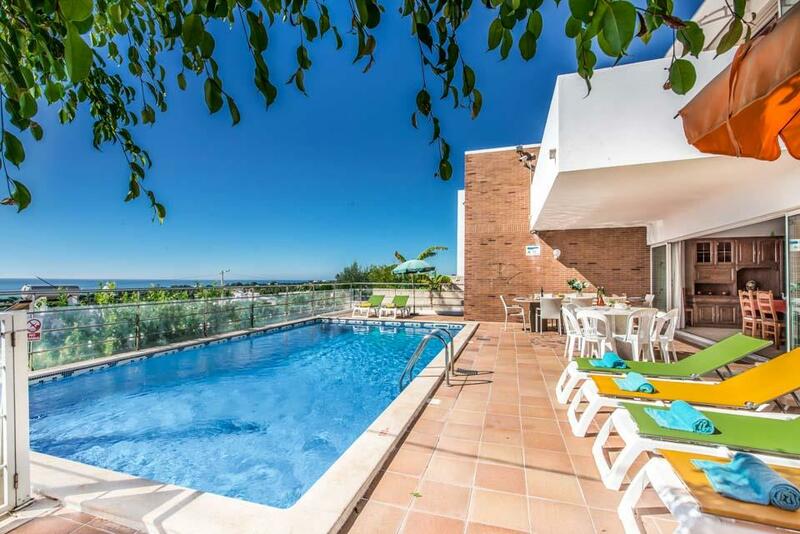 The villa was situated in a nice position between resorts. The nearest shop, a small mini market, was a ten minute walk away which made carrying water, beers and wine pretty hard work. To get to the larger supermarket. a Spar, was a 35 minute walk each way. It was quite a trek to the beach with children and all the paraphernalia required. There was no shade on the beach unless you hired sunbeds and a parasol. Rip tides meant a life guard was essential thus bathing could be a problem. We found some very nice restaurants, good value and excellent food. These were spaced out along the main road. Also there were plenty more restaurants in Albufeira which was 35 mins walk away or a taxi ride costing 15 euros which was not too bad for 8 of us. Overall we had a lovely time and really enjoyed staying at the villa. 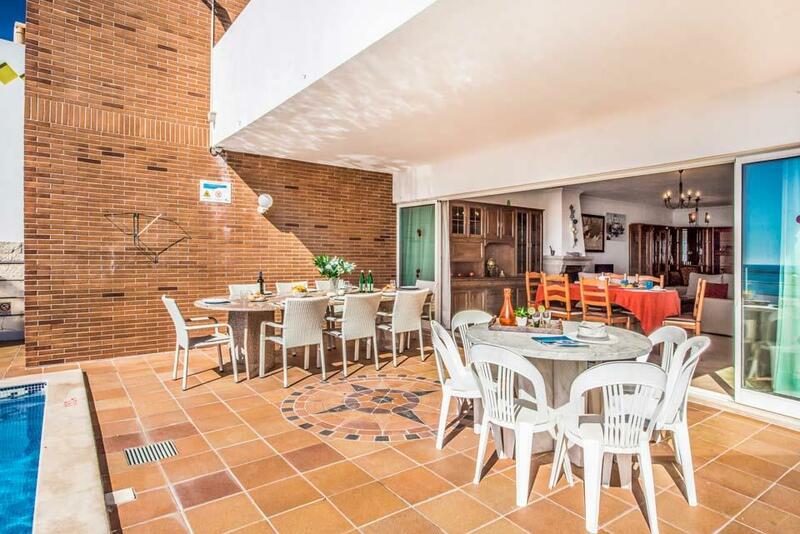 A lovely, spacious villa with great facilities. 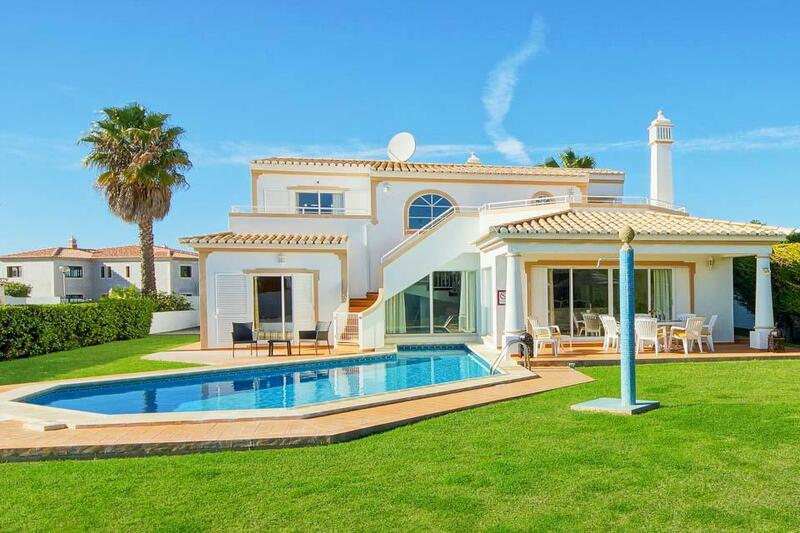 The villa is stood in lovely position with great views. The pool was very clean and there was plenty of good quality garden furniture. 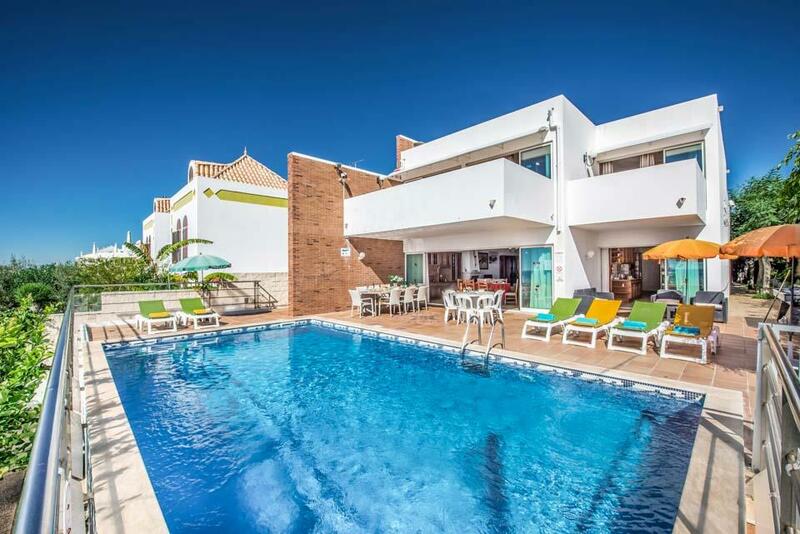 The villa was large and very clean although it was a little dated it was comfortable. 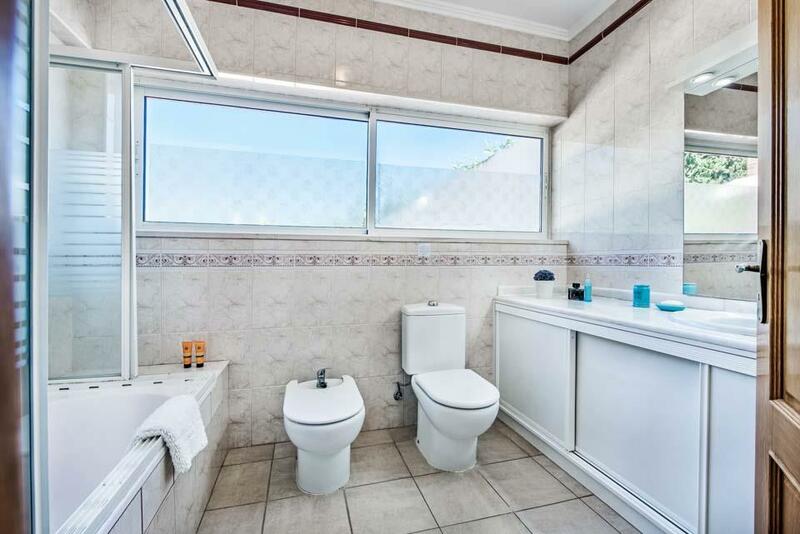 views and location really good. 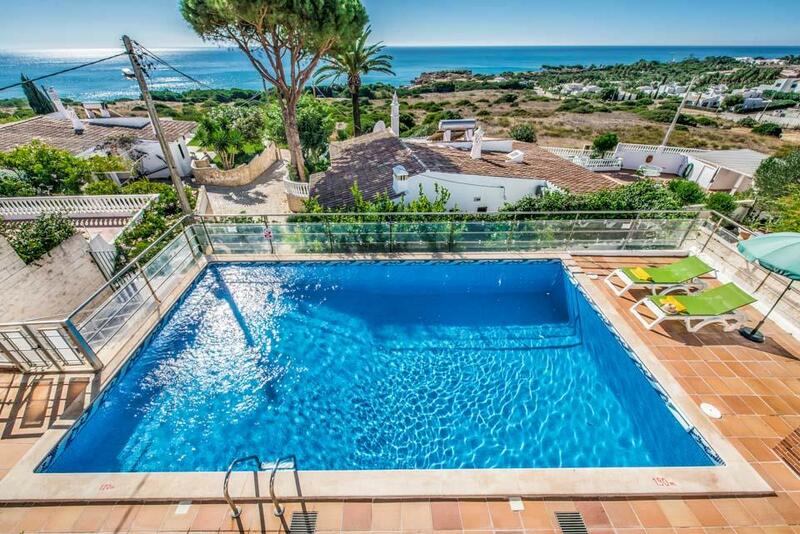 Villa and pool very clean. Loads of space. The villa was in a excellent spot, easy walk to beach and bars. 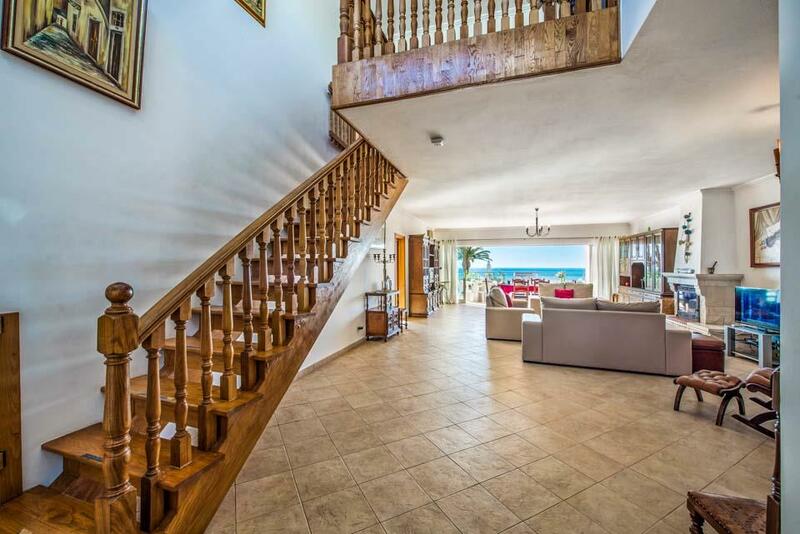 The villa was spacious, the only negative we can give is the living room area needs upgrading to make it more modern other than that it was a great holiday. there's a great panoramic view of the sea from terrace and 3 bedrooms; sunny terrace with plenty of shade; quiet location with just a little karaoke from a local bar on Saturday nights; almost private beach available if you up for a scramble down a rocky gully; short walk to the local populated beach; short Taxi to big Lidl; local restaurants (book the fish one on the beach, a day ahead, if you want to eat on the open veranda); nearby mini market for essentials; no mosquitos on our trip! 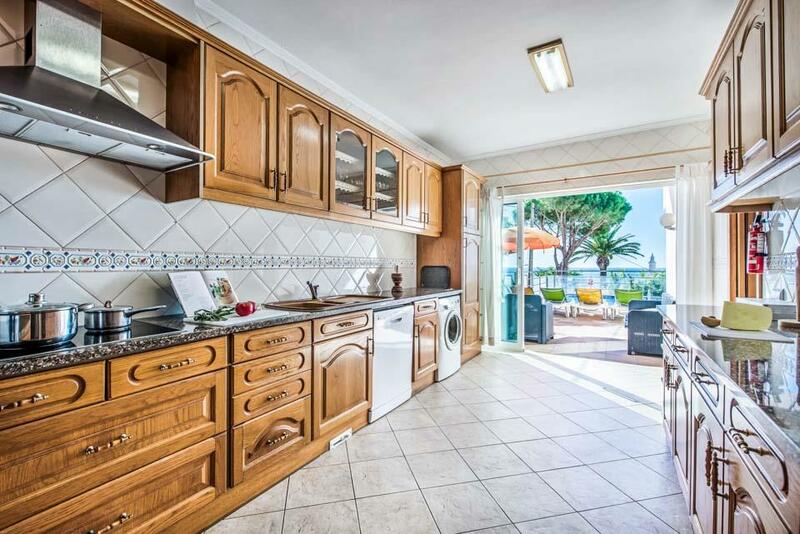 Loved the location, sea views and size of villa. 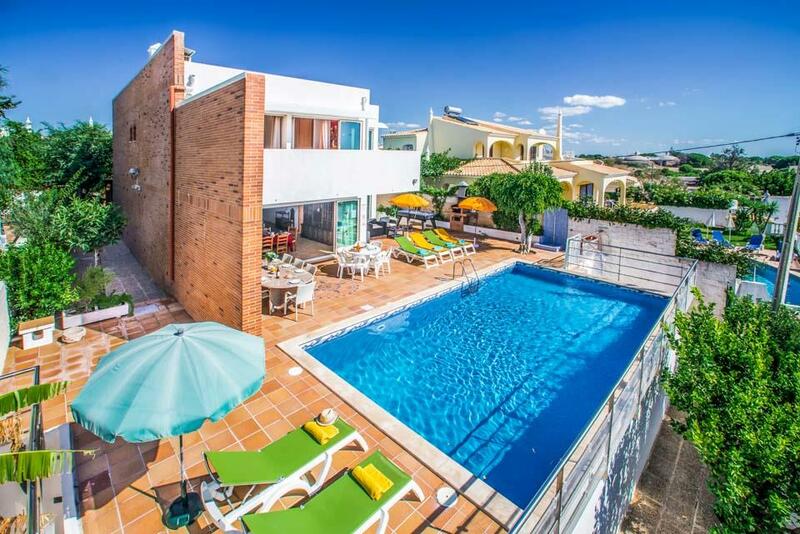 LOVELY VILLA VERY CLOSE TO ALBUFEIRA, ROOMS VERY SPACIOUS, BEAUTIFUL VIEW OF THE SEA. 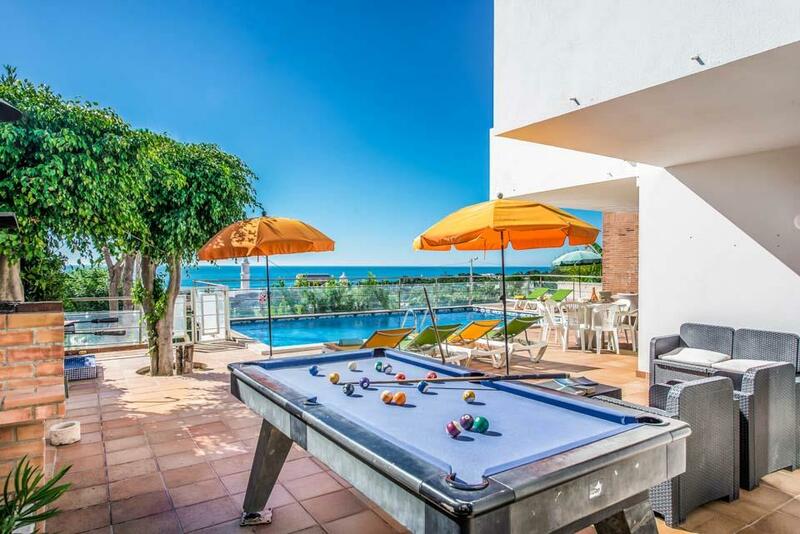 HAS OUTDOOR POOL TABLE AND TABLE TENNIS TABLE IF YOU GET BORED SUNBATHING! We liked the large pool and the fact that it was heated. 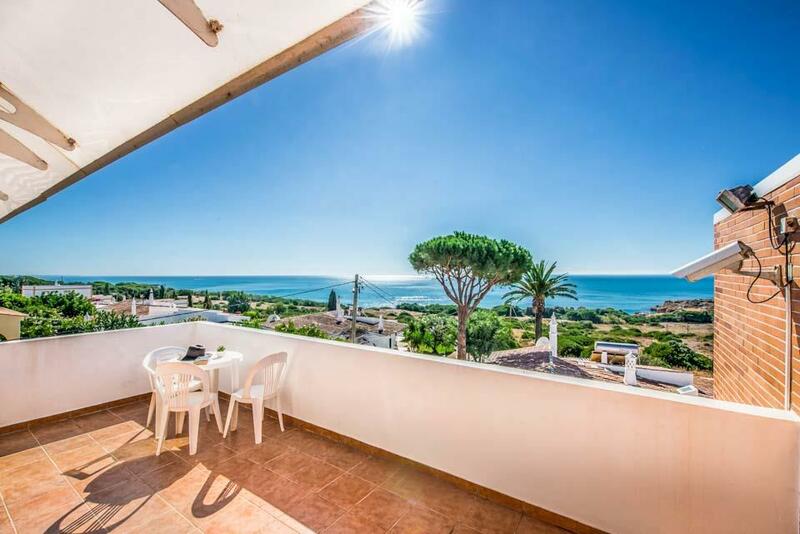 The villa has great views to the sea. Sao Rafael is very quiet . Great views, quiet area in April. 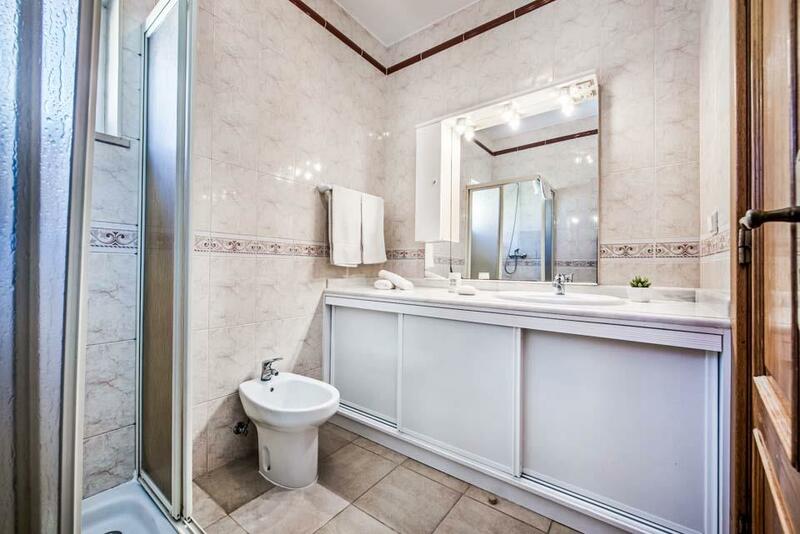 Very spacious with a good pool and secure parking. 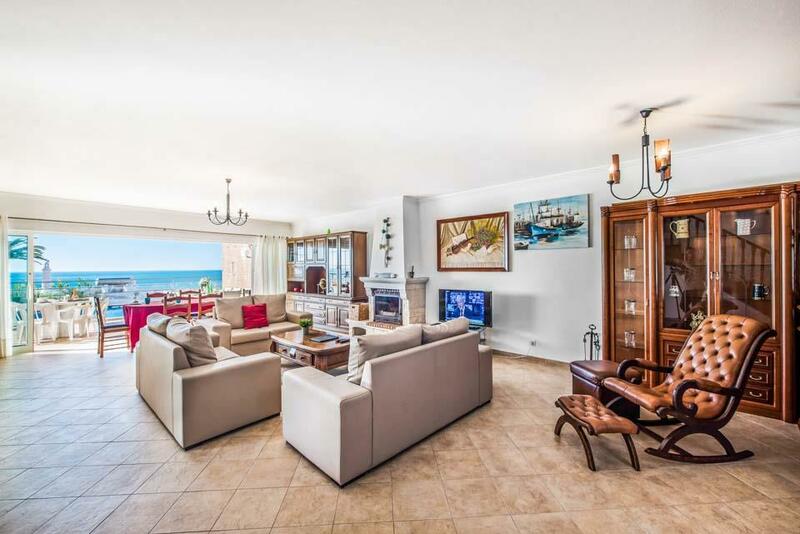 A very large and spacious villa with a stunning view of the sea. 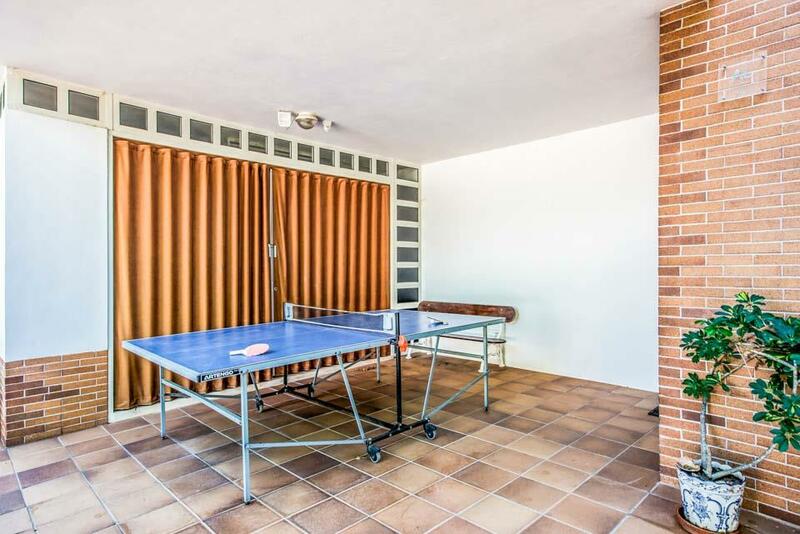 Adequately equipped including table tennis and pool tables outside. 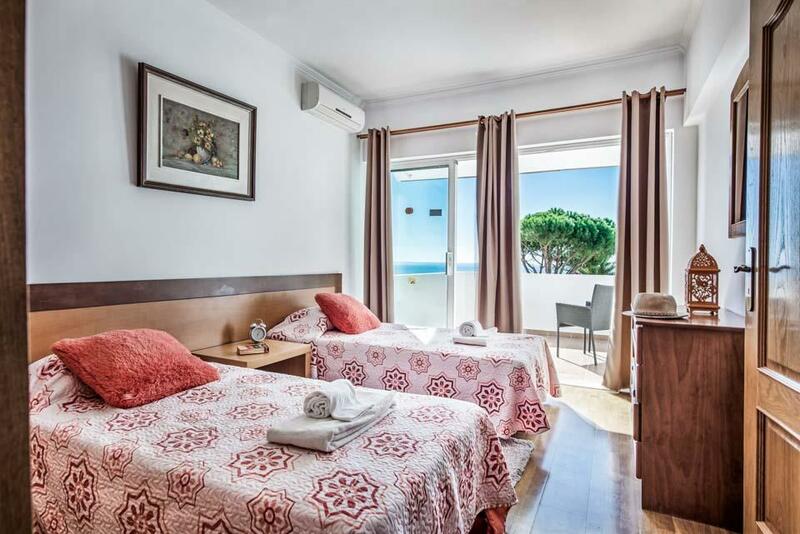 There are a few bars and restaurants within a ten minute walk from the villa as well as the two local beaches, both have bar/restaurants on hand. 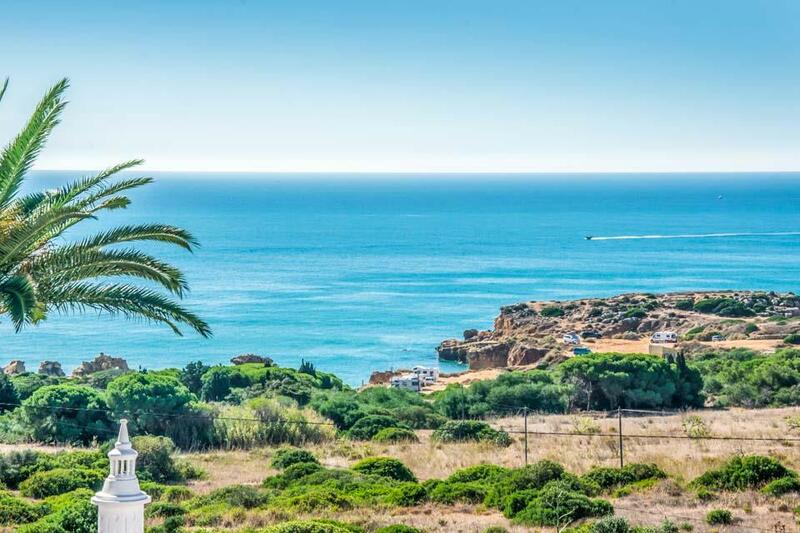 Albufeira Marina is a five minute drive and the Old Town less than 10 minutes. 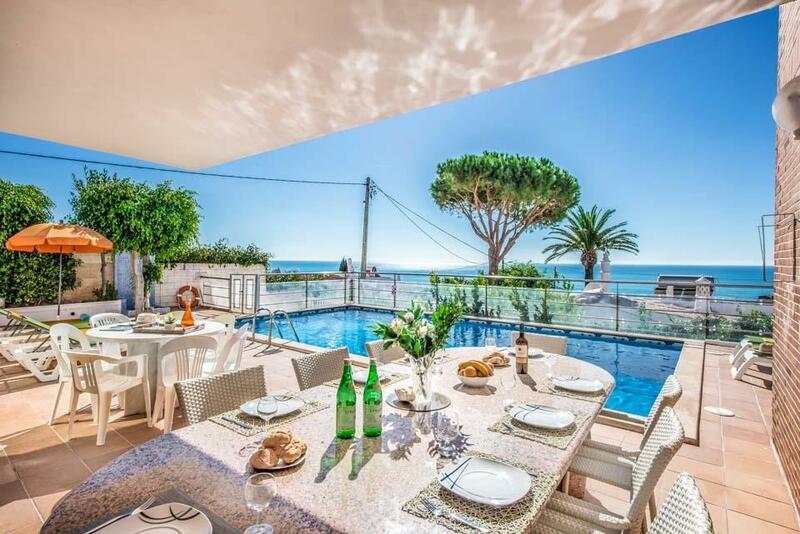 **Save up to 25% by arriving and departing on the standard changeover day**If you’re looking for something really special with sublime views, then Villa Beatrice ticks all the boxes. 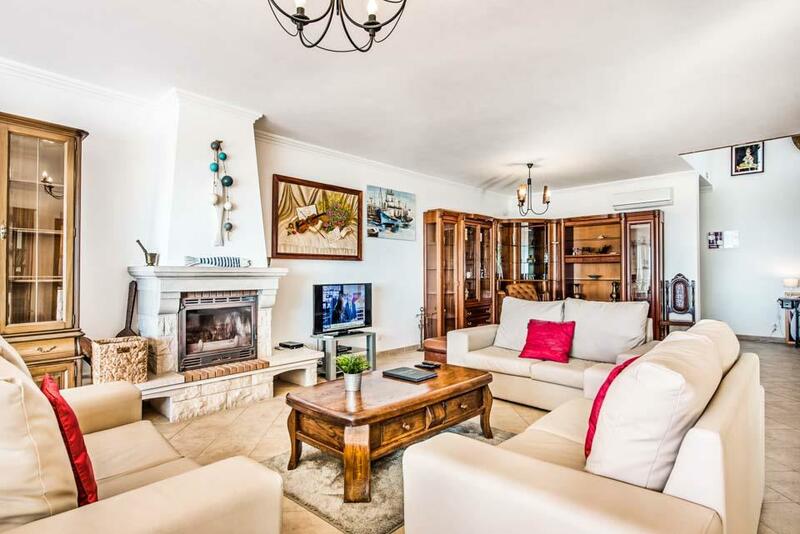 With a palatial, Portuguese design, this four-bedroom villa has a sweeping..